Salary matters—a lot. Better compensation and benefits were the #1 reasons employees chose to accept their current company’s job offer, according to LinkedIn’s Global Recruiting Trends 2017 report. Still, for something so critical, lots of recruiters lack any advanced insights on the salaries they offer. That’s about to change. Today, we’re sharing LinkedIn’s latest salary data for recruiters, including average salaries across sectors, cities, and company sizes. Knowing how your salary stacks up against the competition is important tactical info. Sure, not everyone in talent acquisition actually has the latitude to change compensation offers—sometimes that’s handled by a totally different department—but it can still inform how you make your pitch. If you’re paying more than average, maybe you can afford to be more selective. If your compensation falls short of others in your space, you’ll know to emphasize other aspects of your offer (or even lower your standards a bit). 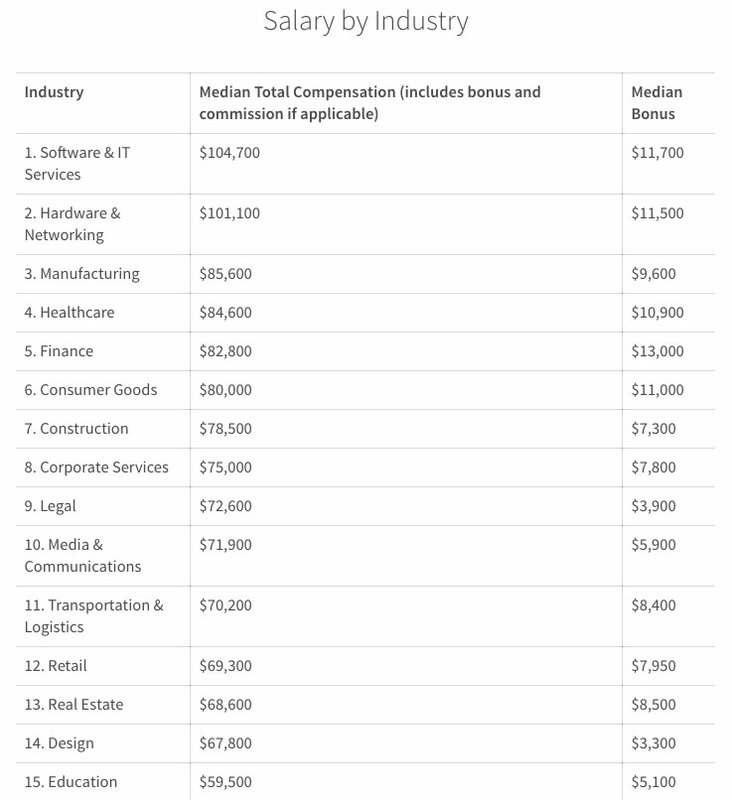 Surprising no one, the highest average salaries are found in tech—specifically software & IT ($104,700) and hardware and networking ($101,100). Healthcare ($84,600) and finance ($82,800) aren’t far behind in fourth and fifth place. Rounding out the bottom of the list is design ($67,800) and education ($59,500). 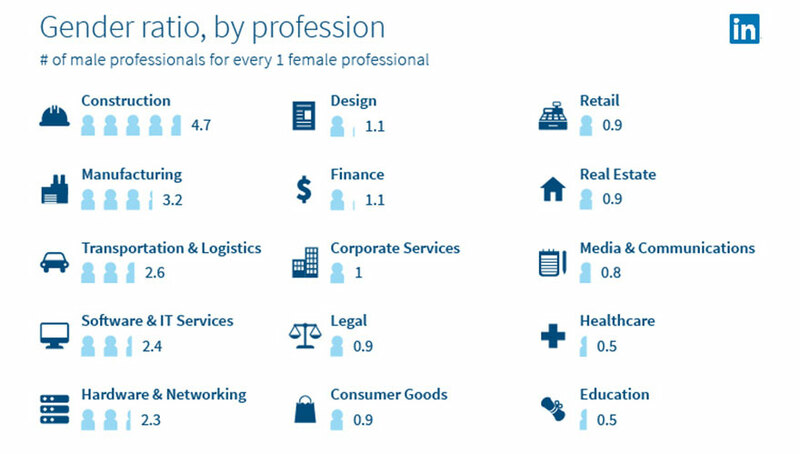 In general, men are disproportionately represented in the highest-paying industries. There are almost two-and-a-half men for every woman in the two tech industries at the top of the charts—and more than three men per woman in the third-highest paying sector, manufacturing. Finance has come a long way since the Wolf of Wall Street old-boys’-club days: the well-paying industry is basically gender-equal (in terms of total headcount, not leadership positions). Healthcare is the highest paying industry in which there are significantly more women than men, with women representing about two-thirds of the workforce. The Bay Area ($112,400) has the highest average salary by far—probably because it’s home to so many tech jobs. Another big tech city, Seattle ($95,600), takes the second spot, where principal software engineers make almost 50% more on average than they would elsewhere. The major East Coast cities of DC ($87,300), NYC ($86,600), and Boston ($86,000) round out the top five. Notably, the average salaries in the bottom five cities are relatively close: there’s only $3,000 separating Houston ($82,000) at #6 and Chicago ($79,000) at #10. Compare that $3,000 gap to the $26,400 gulf separating the #1 and #5 cities. Once you get out of the highest-paying metro areas, there’s a pretty even playing field across other cities. 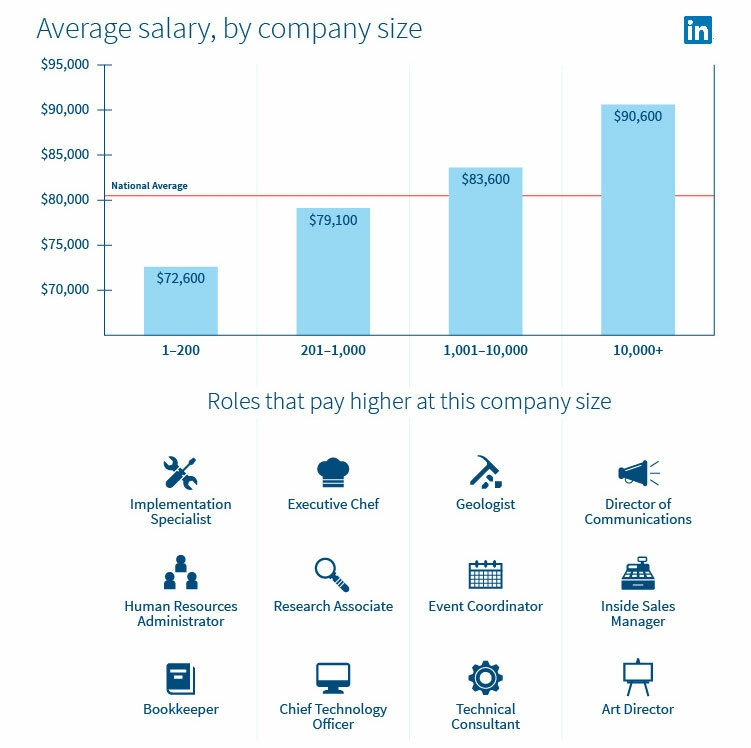 As you might expect, smaller sized companies tend to pay less on average. The difference between small businesses (fewer than 200 employees) and enterprises (over 10,000 employees) is particularly stark, with a $18,000 differential. Creative management roles—like communications and art directors—in particular seem to pay better at the largest companies. 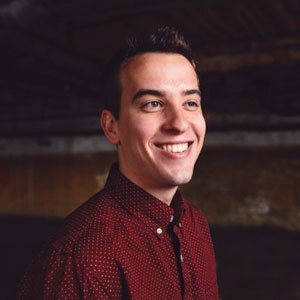 Meanwhile, small businesses tend to pay more for process-oriented roles like implementation specialist, HR administrators, and bookkeepers, perhaps because smaller companies can only afford to hire one or two of these professionals to manage everything while enterprises can employ fleets of them. Again, these trends can give you valuable perspectives on whether you’re paying above or below average rates in your sector, city, and size—but these only sketch out broad trends. To really find the exact numbers for a specific role in a specific market, you’ll want to start playing with LinkedIn Salary. Whether you’re getting macro or micro insights into your compensation, knowing where you stand can help you shape your recruiting strategy and craft more persuasive pitches.